« From $159,900 > LINGO Surrey Apartments for Sale with Studios to 2 Bedroom Floor Plans Available! Located at Citadel Drive and Nova Scotia Avenue Port Coquitlam Citadel Heights homes are surrounded by greenery, natural parks and outdoor recreation. These single family homes in Port Coquitlam are brought to you by Bluetree Homes and will be situated close to major transit routes, great schools, parks and amenities. But you’ll need to hurry in order to preview these fabulous new homes as there are only 29 opportunities available. The PoCo Citadel Heights homes start from just $789,900 and are brought to you by one of the largest and most trusted builders in British Columbia. The show home is now open daily between 12-5pm (closed Friday) at 2195 Nova Scotia Avenue Port Coquitlam. 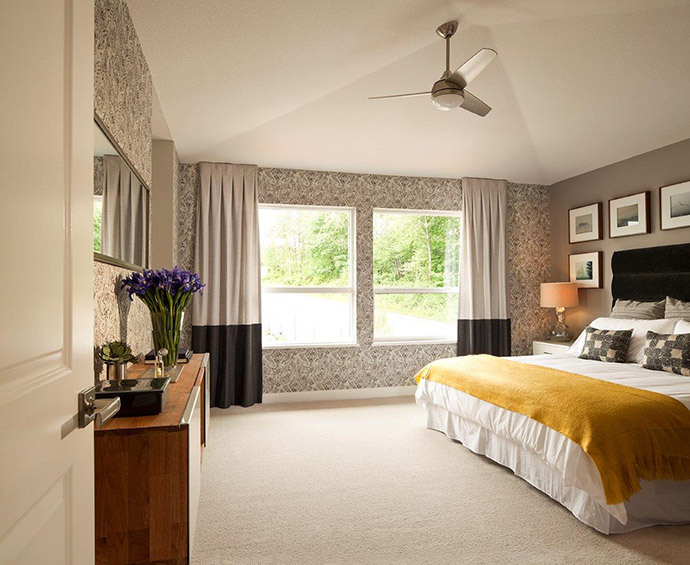 Bluetree Homes at Citadel Heights Port Coquitlam provides both elegant design and timeless value to any home buyer. Painstakingly thought out and built with the care and pride of a true craftsman, the luxury Port Coquitlam homes at Citadel Height by Bluetree Homes offer all this and more starting at an affordable price point under $800k. There isn’t anywhere else where you can find a brand new 3,000 square foot home with these finishes and detailing anywhere in the Lower Mainland! Homes with benchmark quality in a choice location at remarkably attractive presale pricing set the stage for both a great living experience and long-term value. The Citadel Heights Port Coquitlam single family home community is now selling so please make sure you register your interest online at www.bluetreehomes.ca. Introducing Bluetree Homes at Citadel Heights, a spectacular new community of 29 four and five bedroom single-family detached homes for sale. The new Port Coquitlam homes are located in the established and beautiful Citadel Heights neighbourhood which is highly desirable. The new PoCo Citadel Heights homes range in size between 2800 to 3577 square feet including basements and feature plenty of storage and space to grow into. 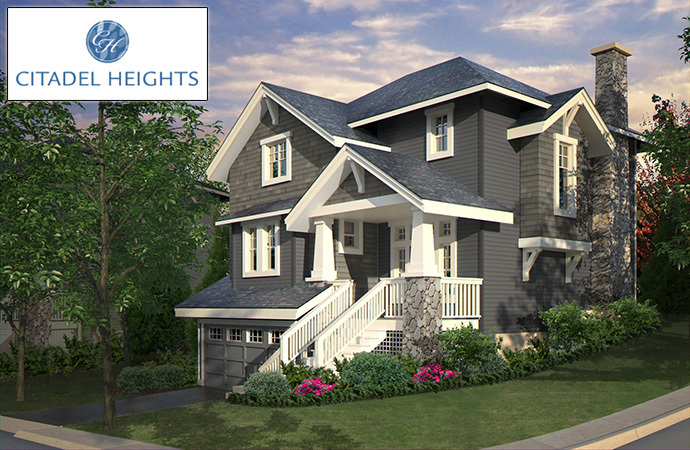 The neighbourhood will feature striking streetscapes with Craftsman style architecture and a great variety of rich exterior colour schemes. In addition, the homes will feature spacious front porches, decks, patios and yard space that enhance outdoor living. Mature landscaping that is low maintenance and an amazing location close to every day amenities, spacious parks and top ranked schools are other great selling features at Bluetree Homes at Citadel Heights Port Coquitlam. The homes will come with cozy, warm and quiet R-20 insulation in walls and R-40 insulation in the ceilings. There is high efficiency natural gas forced air heating in addition to energy efficient double glazed vinyl windows and sliding glass doors (French doors in some floor plans). 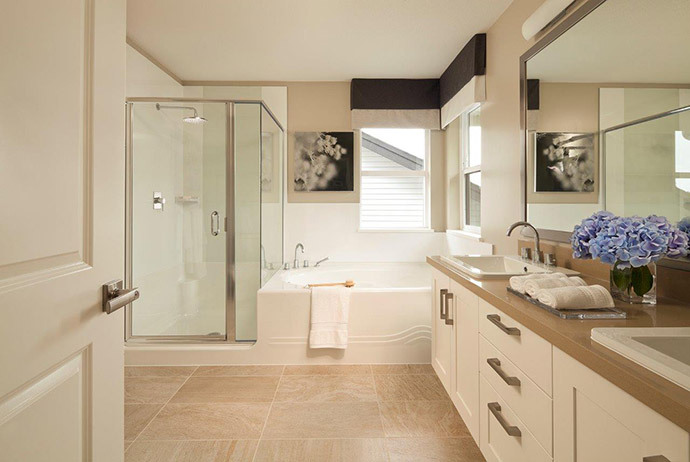 All homes at the Citadel Heights Bluetree Homes project come with finished laundry room with white lower cabinetry, counter and convenient sink. There is a 50 gallon hot water tank and programmable thermostat. Coffered ceilings in the dining room is also a signature feature in select homes. Some of the available upgrade options at the Bluetree Citadel Heights Port Coquitlam home community includes a security system, ensuite in floor heating system, central vacuum system and a ceiling fan in the master bedroom. Disclaimer: In a continuing effort to improve our homes, Bluetree reserves the right to make modifications and/or substitutions, without notice. Final dimensions, square footage, specifications, floorplans, site grading and landscaping may vary. See your sales representative for details. E.&O.E. Gourmet kitchens centrally located in the heart of the layouts will give you space to entertain, cook and have some fun. Open plan kitchens with convenient eating nooks, breakfast bars and islands will be beautiful. 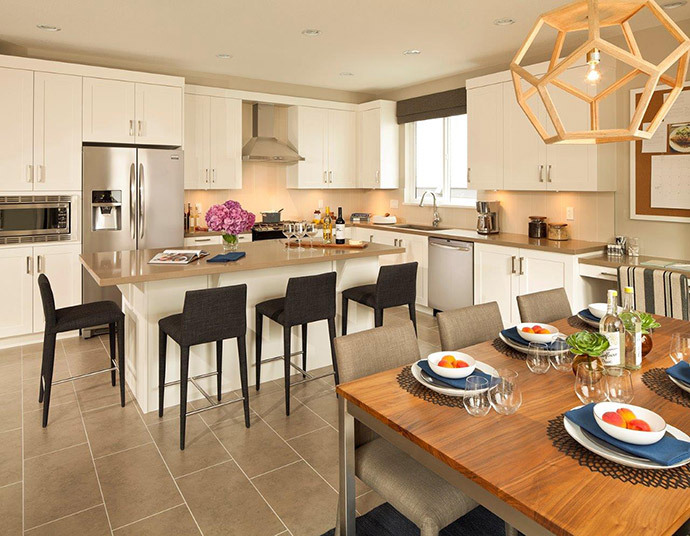 In addition, home buyers at the Bluetree Citadel Heights Port Coquitlam homes for sale will have a choice of traditional shaker style cabinetry in two colours or a contemporary flat panel cabinet style available in one colour scheme. In addition, the kitchens have superior stainless steel appliances, stainless steel double equal bowl under mount kitchen sink, soft recessed lighting and under cabinetry lighting. The Port Coquitlam Citadel Heights homes will also come with quartz stone counters, ceramic tiled backsplash in 3 colour choices and hand set porcelain tiled flooring in the nook and kitchen areas. The spa inspired bathrooms will include acrylic alcove tub with ceramic tile surround and polished chrome hardware in the main bath as well as soothing spa style acrylic tub and shower with polished chrome hardware and decorative ceramic and glass accent tile in ensuites. Also, there are stylish and durable quartz composite stone counters in the ensuite bathroom and powder room and hand set porcelain tiled floors in all bathrooms. The Bluetree Citadel Heights Port Coquitlam homes for sale will also feature traditional shaker style or contemporary flat panel cabinets. 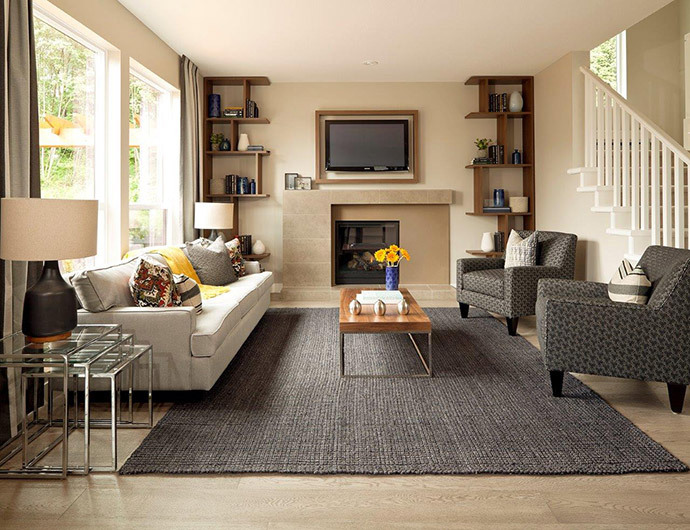 As mentioned above, the contemporary, open plan layouts will feature either traditional or great room layouts, plus open lofts and dens in select homes. The PoCo homes will also feature beautiful engineered hardwood floors throughout the main level with hand set tile in kitchen, powder room and laundry rooms. The upstairs and basement floors except bathrooms will have luxurious carpets. All homes have modern quartz composite stone surrounded gas fireplaces in the living room with custom designed mantel in addition to master bedroom vaulted ceilings. The new Citadel Heights PoCo homes will also have spacious walk in master retreat closets with upgraded millwork and closet organizers. The spacious homes also allow lots of light through oversized windows throughout. From their marketing online: Need more room to play? Introducing the Bluetree Homes at Citadel Heights Port Coquitlam real estate development by this notable builder. Featuring only 29 single family homes for sale in a natural setting within an established neighbourhood, the Port Coquitlam Citadel Heights homes will range in size between 2700 to over 3300 square feet including fully finished basements for extra living space. The actual project site at the Citadel Heights Port Coquitlam homes development is situated at Citadel Drive and Nova Scotia Avenue Port Coquitlam BC. The central location of these new PoCo single family homes makes them very close to all the major transit routes, every day conveniences, neighbourhood amenities, spacious parks and great schools. Bluetree Homes at Citadel Heights Port Coquitlam will bring only twenty nine opportunities to the established and highly sought after neighbourhood where you will find single family detached living. Some of the community highlights around the new Port Coquitlam Citadel Heights Homes for sale include every day amenities, a small town lifestyle, recreational options, great schools and spacious parks. Sales will begin Fall 2012.